Jumia provides you with all your needs when it comes to electrical tools, as we aim to be the biggest electrical online shop. You can find electric switches, electric sockets, and power cord extensions. 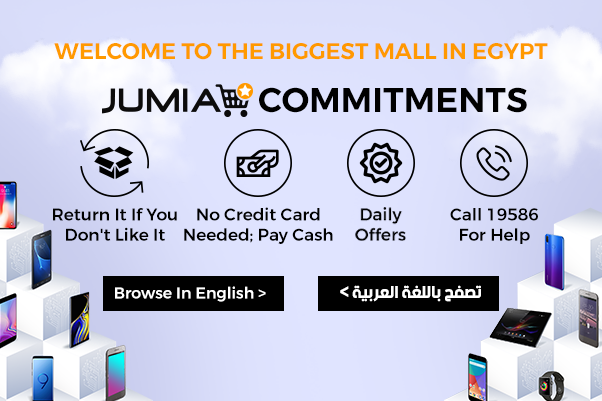 Enjoy thousands of great deals and discounts on Jumia, as we promise you high-quality products, a wide range of products, and definitely the best price in town. Jumia is the biggest online shopping platform in Egypt. Enjoy the massive selection of electrical tools and electrical stuff that we offer you at Jumia, so you can get any Electrical tool you want easily. Also, you can find some electrical accessories tools such as motion sensor switch which doesn’t need to be switched on or off; it works when someone is in the room which saves power. Moreover, you can buy electrical stuff like audio intercom if you want to add a smart touch to your home. Jumia is the biggest online shopping mall in Egypt. Jumia always offers you huge discounts and big deals, so try to get the best deal for you and enjoy buying your electrical tools and stuff with the best price in Egypt. You can find safety electrical plugs, which will protect your children from any damage that could affect them. Also, you can find some accessories like covers for sockets, light sensors with automatic lights control, and much more useful accessories for your home. Shop with confidence from Jumia as we promise you the best online shopping experience ever, with fast door to door delivery, a wide range of products, best prices, and free return. Enjoy online shopping with Jumia, the biggest online shop in Egypt..